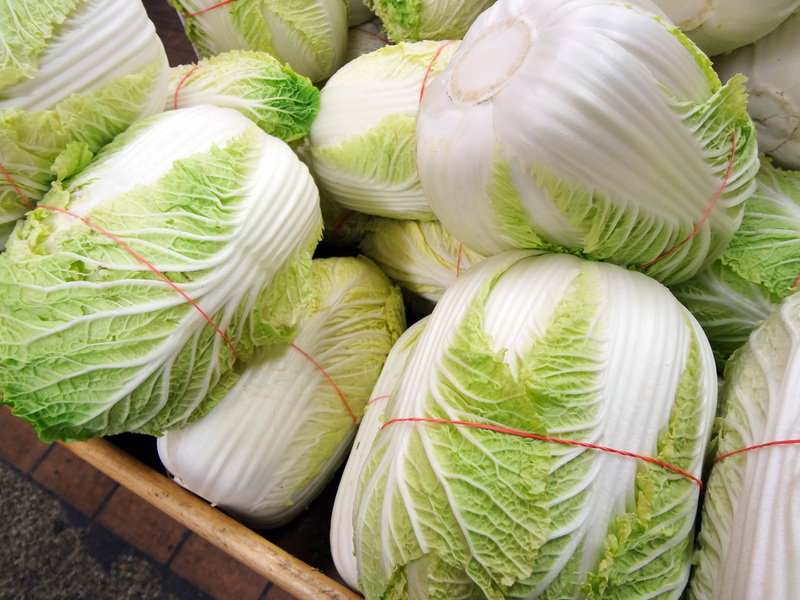 Napa cabbage is the main ingredient in traditional kimchi. They are long and leafy and slightly sweet. Their peak season is late fall, although they are available throughout the year in Korean grocery stores. A good cabbage has a good amount of healthy green leaves and is not totally white. Sometimes in the Korean grocery store, the cabbage will be all wrapped up in plastic. Posted on Tuesday, February 26th, 2008 at 11:32 pm. Last updated on March 28, 2015. Posted March 18th, 2017 at 10:45 am | Log in to reply. omg I bought Napa cabbage today at the regular american grocery story and I couldn’t believe how expensive it was. 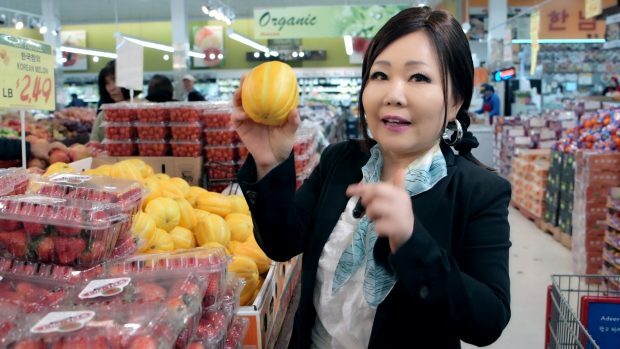 It was like $1.69 a pound which is well over double what it costs in the asian grocery store – fyi. I just didn’t feel like making a trip to the asian store just for that. Something to keep in mind for the future! Huge price difference! Posted November 25th, 2014 at 1:34 am | Log in to reply. good bargain at .59 cents. I paid .79 cents today at HMART on Yonge St. I got up at 1:30a.m to open and look at my freshly made Kimchi. I saw 2 bubbles and felt relieved!!!! HAHA….too much fun. I wish my husband cared more about the process but the funny thing is…..
Posted May 25th, 2011 at 11:49 am | Log in to reply. hi i live in israel and i really want to make kimchi but i think this kind of cabbage isn’t available can i another kind of cabbage? Posted May 26th, 2011 at 6:31 pm | Log in to reply. Posted March 17th, 2010 at 2:31 pm | Log in to reply. Napa cabbage is also sometimes called Chinese cabbage or Bok Choy. Posted August 11th, 2010 at 11:47 pm | Log in to reply. Actually, Bok Choy is different than Napa Cabbage. Bok Choy has large white stalks with dark green leaves at tip. Napa has pale green to yellow leaves and tightly bound white stalks. Posted December 20th, 2009 at 12:04 pm | Log in to reply. i can only find green cabbage…will it taste as good? Posted May 14th, 2009 at 3:31 am | Log in to reply. Posted May 14th, 2009 at 4:57 pm | Log in to reply. Other English name(s): Nappa cabbage, celery cabbage, "Chinese cabbage", "Chinese Leaf", "wombok cabbage"